In Minecraft, a player can get a pet by taming passive, neutral, or aggressive mobs. The taming process typically involves finding a wild animal, trapping them in an enclosed area, and eventually gaining their trust and loyalty by interacting with them (usually feeding them). The process does vary depending on the type of pet you are trying to train. For example, to tame dogs you need to feed them bones from a skeleton whereas taming horses require you to obtain a saddle and actually practice riding the horse! View our full instructions on how to tame dogs and cats in Minecraft to see how the most common mobs are domesticated. As mentioned, most mobs can be tamed into domesticated pets, depending on your version of the game. Our list of Minecraft pets below includes the most commonly tamed wild animals and a few of the more exotic ones that young players strive to attain. A dog (which is a tamed wolf) is your noble companion. It fends off zombies from your base. Skeletons run away from dogs because the dogs know that skeletons are made of bones, and every dog loves a good bone! For that reason, it takes longer for a dog to kill a skeleton. Dogs don’t go after creepers and if you have a dog with you, the creeper will still blow you up. The smallest of slimes even counts as a pet. They are often cute, trying to fight against the big guy. It always follows you and tries to attack you, but because he is the weakest mob in the game (he only has half a heart), he does no damage to you. Your horses define your place. Minecraft has 35 horse breeds (seven colors, five patterns). A horse has three different abilities which makes them valuable. The three abilities are how high they can jump, how fast can they run, and how much health they have. 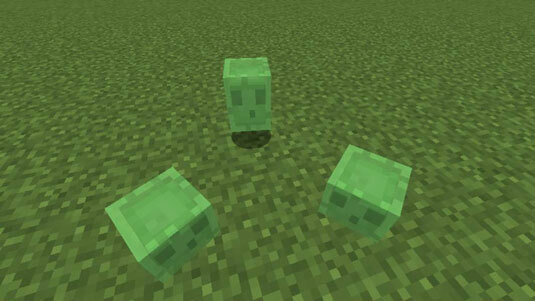 Some of these mobs are more difficult to acquire because they are naturally hostile mobs. Learning how to tame an Ender Dragon includes much more patience. You need to first access the Ender, train the dragon to follow you for food, and feed it Eyes of Ender. Your character may die a couple of times as you go through this procedure, but it will be worth it in the end! There are other ways to acquire pets by using third-party extensions (or mods) to your game. One of the most popular pet mods is called Inventory Pets, which allows players to craft different pets, store them in their inventories, quickly access their abilities (such as speed boosts or flight), and release them into the world instantly. Some servers are even dedicated to pet collecting or battle pets!